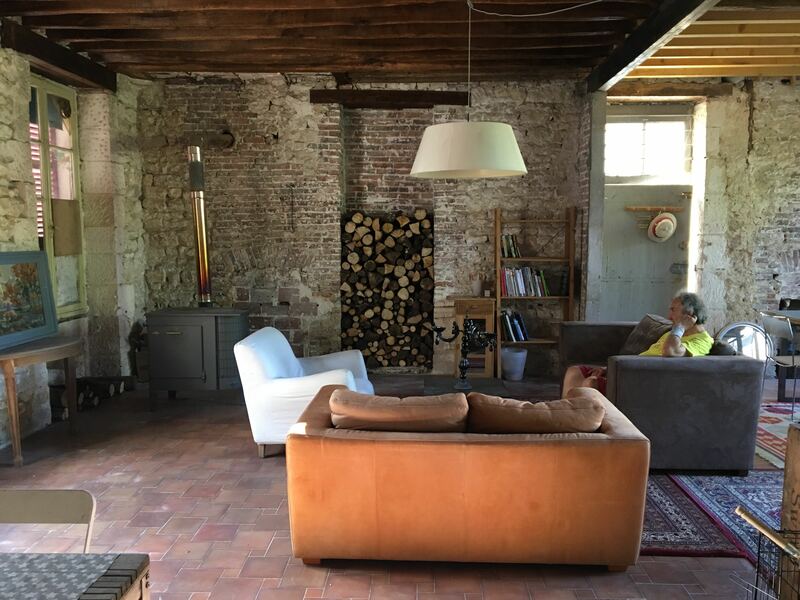 This beautiful house is the property of Patrice and his sister Brigitte, who would like to turn it into a community hub for organisations working on the common good, while serving the local community. An association is in the process of being formed to bring together all individuals and organisations who are interested in taking part of the project. The house itself is called Le Jardin Victor after Brigitte and Patrice’s grandfather. There is a core group working on the project actively (Patrice, Michele, Virginie and Katalin) – and we are looking for more people to get involved. The house will be open from mid-July until the end of August for visitors and curious potential contributors. The plan is to use the summer to map the social, entrepreneurial, cultural and communal characteristics of the village, and develop some plans how the house can play an active role in the life of Coulanges, as a physical space (community house, co-working space, open living room) and as a hub for visitors, connected to interesting initiative throughout Europe. There is no budget – people who come to stay need to cover their own expenses. There is a 2 euro per day per person contribution to utilities expenses, and an 8 euro a day per person fee to cover three simple vegetarian meals which are made by the people in the house on a rotating basis. The 6 weeks of open house in the summer will serve as a testing ground for activities and ideas – and also as a feasibility test whether this kind of financing is actually viable. During the winter months heating creates much higher utilities expenses, so the current plan is to close the building from November through February. However, if there is a group who is interested in occupying the house and pay for the heating, it is possible to discuss. At the moment, all decisions regarding the house are made by the core team, but we plan to organise the kickoff meeting for the Association in September – and once the association is set up, the exact organisational structure of the project will be outlined together. The house is offered rent-free by Patrice and Brigitte – but it is a project space, not for private residence. All individuals and organisations who decide to participate need to present a proposal for the use of the space. Occupation will be granted for periods of 3 months, after each three months, if requested, it can be renewed after a revision of outcomes of what was proposed. We are currently issuing an invitation to come and stay during the 6 weeks summer period, help with setting up the space, explore the area, and co-create this community hub. The area is very beautiful – the river Yonne offers the opportunity to swim, and there is a cycling path connecting the villages, which follows the canals. An ideal place for running, as well as cycling.